Sterling (IL), United States – Sterling Systems & Controls, Inc. announces availability of its automation application module for the Grinding of solids, such as for Grinding applications in Feedmills. Grinders are known by many names/types, e.g. Grinder, Classifier, Hammermill, etc. Sterling Systems routinely incorporates its Grinding application module in automation systems within a variety of industries, most notably in feed, Petfood, seed, food and other agricultural industries. Sevenum, Netherlands – Dinnissen Process Technology will be present at Victam Asia 2018, held from 27 to 29 March 2018 in Bangkok. During this exhibition, the company focus at its latest innovations, such as its new Hamex Hammermill fitted with a (semi)-automatic screen changing system. Employees, production equipment, and buildings are valuable assets. By minimising the required maintenance and maximising the service life of expensive grinding installations, it’s also possible to ensure that they are much more cost-effective. 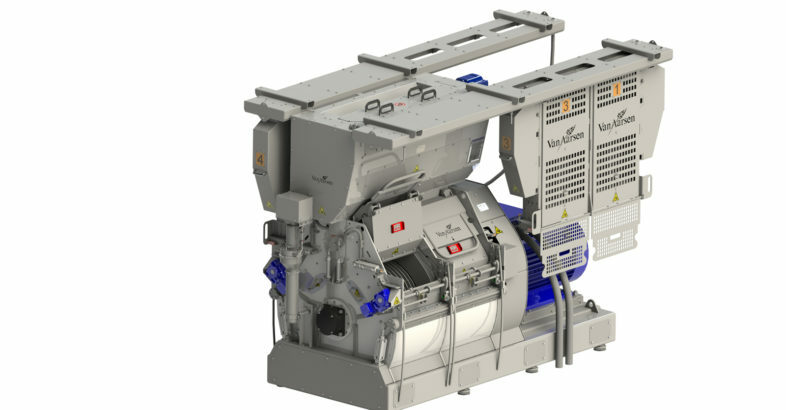 In order to further minimise explosion risk, Van Aarsen has introduced an innovative feeding device with an integrated heavy parts separator (also known as a “stone catcher”) for its GD hammer mill. The GD hammer mill with feeding device from Van Aarsen is also ATEX-certified.